Potomac Country Club is my Us Open entry course for TGCTours.com. The greens are fast, but the firmness is set to hold shots. The course requires you to learn the slopes of the greens to know where to place your iron shots, giving you the best chances at birdie. The bunkers are over run with long grass, hopefully helping with the US Open feel. Landing zones are narrow, but not too narrow. 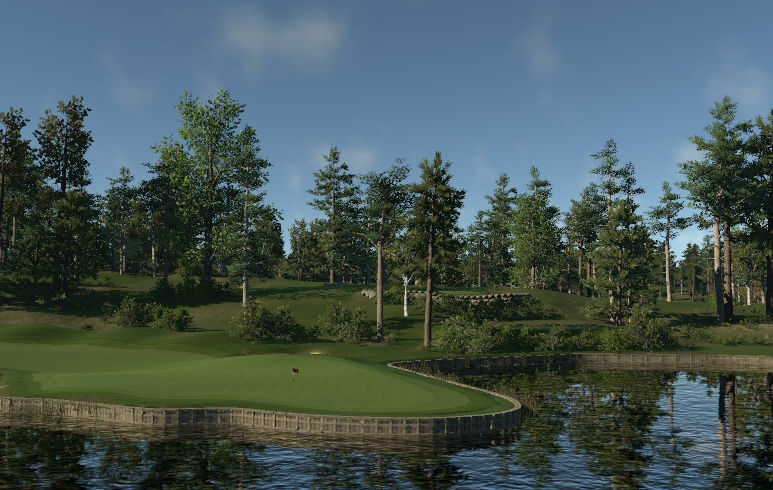 Hole names and tips to playing them: #1 "Washington" is a 487 yard par 4 that has a fairway that snakes through bunkers down to a peninsula green. When hitting your second shot in to the green make sure to club down allow for the ball to feed back to the hole. #2 "Ulysses" is a 204 yard par 3 down hill over lake "Tecumseh" to a green surrounded by bunkers. Take one club down and aim for the front of the green. Green slopes from back to front left any thing long will have a scary putt down he hill. 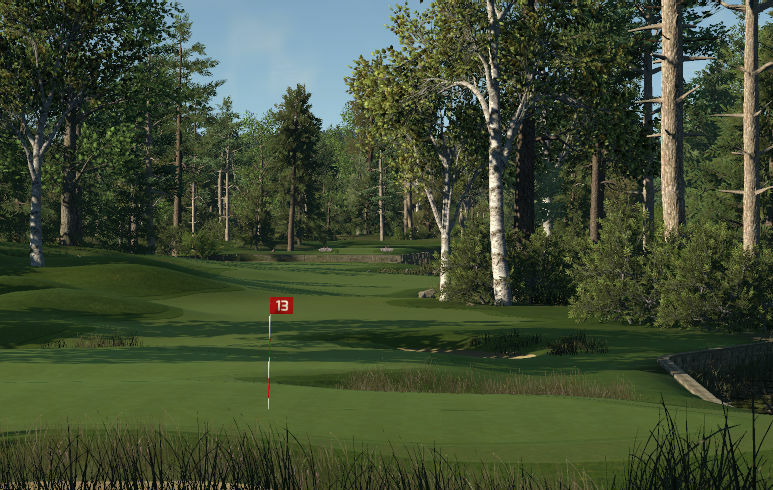 #3 "Sherman" is a 644 yard par 5 ... more hole names in the "completed courses" on the forum. 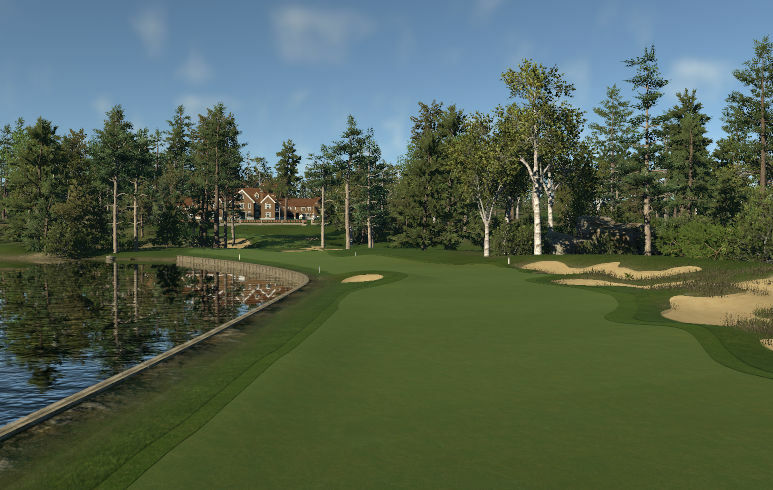 Potomac Country Club is Brandon Pugh's (aka friendBOMBER) entry for the US Open Course Contest at TGCTours.com, and I bet he will be on the shortlist to win that contest with this awesome course creation! I played so many courses on TGC already, but this might be the one with the most effort & work being put into the (small) details of a golf course, while still being more than challenging, and not just a "cosmetic shell" to just look good. Planting (I guess the best I've seen so far; and still no performance issues), bunkering, the lovely designed tee boxes, the huge number of retaining & stone walls... everything looks really impressive! The designers course description says that #17 is the signature hole of that course, but to me it was Hole #1 (called "Washington"). I was overhelmed when I stood on that first tee box, maybe the best looking opening hole I've played so far. If I had to complain about anything at Potomac Country Club, it is the fact that some of the green slopes are marginal. While I totally understand (and like) the intention to design greens with multiple tiers - where you simply have to hit it the right spot if you wanna score low, otherwise you'll be happy with Par - I'd still say that some (not all) slopes are maybe a bit overdone. Needless to say that some pin positions are accordingly difficult, but that's totally okay (with me). Summary: Potomac Country Club is definitely one of the best courses in the TGCT-course-database so far. Grab your clubs and give it a go... you would regret if you don't! Mr. Pugh... great job! All the best for you in the US Open Course Contest!